The beat goes on as NYS Music continues to count down the best, the brightest and the most impactful events surrounding music in the year 2017. If you’ve missed any of our previous entries, check out the Staff and Reader Picks for Best Venue and Best Album compiled earlier this week. Today, we tackle Best Music Festival in New York State as well as the country. And, somewhat unsurprisingly, there’s a striking simoe.larity between the Staff and Reader Picks for both. This relatively small, low key festival has made great strides in recent years and featured a stellar musical lineup this year that featured acts like Dopapod, The Motet, TAUK, Kung Fu and even a live band version of drummer Adam Deitch’s Break Science side project. Disc Jam Music Festival seems to have found a home in Stephentown, NY in Rensselaer County, not far from the Massachusetts border, and prides itself on easily accessible music in an intimate environment. Both main stages are easily visible from the parking area and surround the nearby camping area. A sizzling Saurday night set from the Brooklyn rock/funk outfit known as Turkuaz was just one of the highlights of this year’s Disc Jam. This came after the highly anticipated and well received set from up and comers TAUK. Holly Bowling displayed her prowess on the piano all weekend with both an intimate late night set on Friday and by serving as the “Artist-at-large” all weekend, seemingly sitting in with everyone and everywhere. Saturday late night sets from Break Science Live Band and Consider the Source served as more than ample entertainment before Pink Talking Fish closed out the festival on Sunday night. NYS Music was on the scene, naturally. Check out our review here which features this awesome highlight video to give you a taste of 2017 and whet your appetite for next year. In somewhat of a sleeper pick, our staff was also really high on this fairly new and quite atypical music festival. In fact, this festival is self-billed as a “multi-disciplinary visual and performing arts festival” with all of its events/performers spread out across the entire scenic city of Rochester. Fringe organizers have boasted that the event brought in over 78,000 attendees this year, which is a 15% rise from 2016 and can only pay dividends for the local economy. And while most “traditional” music festivals take place over a long weekend or two with several stages in a fixed location, The Fringe couldn’t be more opposite as it spreads the fun out over 10 days and dozens of stages, with hundreds of shows from which to pick. In addition to spotlighting local talent such as Rochester’s own The Demos or Ithaca’s Big Mean Sound Machine, this year’s Rochester Fringe also featured the American debut of the renowned French street theater company Plasticiens Volants and comedy courtesy of headliner John Mulaney. With a truly diverse schedule in all aspects and rising attendance, it’s clear this festival is doing something right with next year’s rendition already scheduled for Sept 13-22, 2018. For a more in depth look at this up and coming fest, check out our own Paula Cummings’ reviews of Day 2, Day 3, Day 4 and Day 8 of the festival with some accompanying photos courtesy of Staff Photographer Brian Ferguson. This Lake George-based festival also has somewhat of a unique set up and ranked highly among our staff. Promising music from 2 pm to 3 am, ADK Music Fest delivers this by showcasing bands on two stages right in Charles R Wood Park by the southern tip of the lake during the day and then late night sets at nearby King Neptune’s Pub. With a very reasonably priced ticket (there were a limited amount of $60 weekend tickets available) and a slew of hotels nearby, this is one of the more accessible festivals in the state as well as one of the more scenic ones thanks to views Lake George has to offer. ADK Music Fest offered some of the more nationally known acts during the daytime sessions with bands like Twiddle, Ryan Montbleau, Kung Fu and Twiddle gracing the stage while the late night sets were dominated by favorite “local” acts like Mister F and Formula 5. This was the third year of the festival, so it’s still in the nascent stages of development. 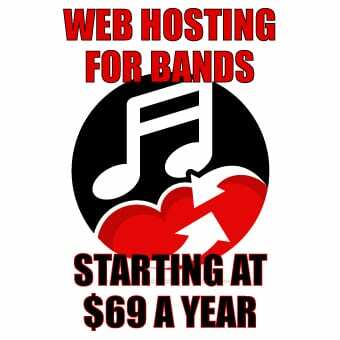 But with a strong attendance this year, and the continued rise of some NY State bands, there’s no reason to think planning insn’t already underway for year four. For a deeper dive on this festival, check out NYS Music’s review of the weekend. Here’s a clip from Twiddle’s set which closed things out on the main stage Sunday night and featured a special sit in from Lucid’s Lowell Wurster on washbord. And the last of our Staff Picks just so happened to be the same as the definitive winner as chosen by our loyal readers…..
Not even the heavy rains and infinite mud that were both prominently featured at this year’s moe.down could keep our staff and readers from agreeing that this is truly one of the best festivals the state has to offer. Perhaps there was a sentimental vibe to this joint pick as well as moe.down returned after an excruciatingly long, near three year absence. Returned to its roots at Snow Ridge Ski Resort in Turin, this festival always does a tremendous job of creating an artist lineup that mixes both local “up and coming” acts with nationally known bands that may or may not be regularly associated with the jam scene. And seven sets of moe.in the span of three days doesn’t hurt either. While, traditionally, moe.down has been a Labor Day Weekend festival, in 2017, it was moved up to the weekend preceding the 4th of July. This made for some warmer temperatures but, unfortunately, the rain that can be often found at this fest was plentiful. However, that didn’t deter campers from going out and enjoying acts like The Hip Abduction or Fishbone. New York was well represented with other sets from Mister D and Wild Adriatic that had to navigate some questionable weather at parts throughout the weekend. And in traditional moe.down style, the hosts were more than generous with the main stage. Ryan Montbleau and Haley Jane (sans Primates) came out for a rousing rendition of Fleetwod Mac’s “The Chain” on Friday night. That night also saw Kung Fu join moe. on stage for the second set for some powerhouse collaboration. Saturday was no different with both Fishbone and guitarist Charlie Star of Blackberry Smoke both sitting in at points. And Sunday, percussionist Mike Dillon was the guest du jour with appearances on the moe. staples of “McBain” and “Okayalright.” Weather aside, the whole weekend was ‘alright’ enough for NYS Music readers to declare this the best festival in New York State. Let’s see if it gets a chance to defend its crown again next year. Check out our team review here that goes a little more in depth about this memorable weekend. It also includes links to retrospectives on moe.downs of years’ past for those interested in seeing how this festival has blossomed from a relatively low key annual gathering of moe.rons to one of the “cant miss” festivals of the summer. Of all the contemporary music festivals the Northeast has to offer, The Peach Music Festival seems to be gaining the most traction towards becoming a widespread or nationally known “must hit” event on the summer festival circuit. Throw an emotional 2017 with the deaths of founding Allman Brothers Band members Butch Trucks and Gregg Allman on top of that and it’s no wonder why The Peach ranked high on our national festival survey. Similar to moe.down, but on a slightly larger scale, this festival offers camping on a giant hillside that’s used for skiing as well. But it also doubles as a water park in the summer months, replete with water slides and a lazy river. This is all in addition to three different stages offering music for seemingly all tastes. One of the best parts of any festival, or music in general for that matter, is the ability to use it to heal and bring people together. With ugly events transpiring in Charlottesville, VA that weekend, the 2017 Peach Fest served as testament to the good side of humanity and showed just how powerful it can be when large groups of people assemble for the right reasons. Sadly, those reasons this year were linked to the aforementioned deaths and an opportunity to really say good bye this time to one of the most influential American bands of all time in The Allman Brothers. Fittingly, the Peach pulled out all the stops this year with a tremendous tribute set spearheaded by keyboardist Chuck Leavell. When all was sang and done, he was joined on stage at various times by the likes of Warren Haynes, Scott Sharrard, Dave Schools, Oteil Burbridge and Jimmy Herring as well as other members of rock royalty. And while some of the inspiration behind this festival may no longer be with us, the show will go on in 2018 and the festival has announced the new dates this year of July 19-22. Rumor has it that the festival’s typical mid-August weekend may be compromised by a certain other major festival thrown by a fairly famous foursome from Vermont. You heard it here first. In perhaps our other sleeper pick this year, Rock on the Range, a hard rock festival in Columbus, OH, was another popular staff selection. Held at Mapfre Stadium, home to the Columbus Crew of Major League Soccer, this festival compiles some of the biggest and mainstream hard rock. This year’s event saw revered bands like Metallica, Primus, Korn and The Offspring all grace the main stage with their presence and successfully turn a soccer stadium into a giant rock show. Sadly, Rock on the Range was not immune to tragedy this year either. The untimely passing of Soundgarden front man Chris Cornell immediately preceded the festival and forced the Grunge era legends out of their headlining spot. Much like Peach Fest, this community seemed to dust itself off and use the three day festival to pay tribute to both Cornell and his band with various covers and tributes. Even though NYS Music couldn’t be there to review the festival this year, here’s a clip of Metallica performing one of their classic hits to give you a taste of the harder energy that’s associated with this increasingly successful early summer tradition in the heartland of America. This year marked the 11th consecutive year of Rock on the Range with attendance increasing each year. It’s gone from a relatively small one-day festival with an attendance of 35,000 to a gigantic three-day outing with total attendance this year nearing 135,000 people so it must be doing something right. 2018 shows no signs of slowing down as headliners Tool, Avenged Sevenfold and Alice In Chains have already been announced for this year’s rendition taking place May 18-20. For those looking to sprinkle in a little hard rock in their summer musical outings, this appears to be a necessary stop. 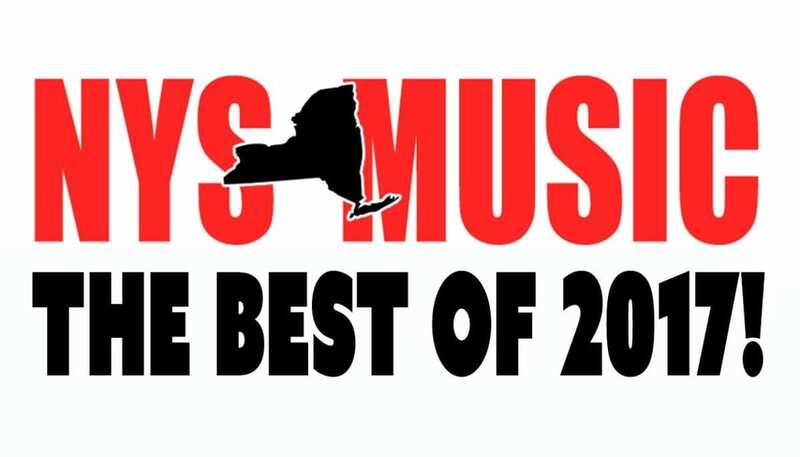 Once again, our final pick from the NYS Music staff is perfectly in tune with our readers….. In a shocking development, moe. once again serves as the common thread between Staff and Readers as the Upstate NY rockers have co-hosted this annual rite of passage into summer with their Midwestern brethren Umphrey’s McGee since 2003. Summer Camp is held at Three Sisters Park in Chillicothe, IL every Memorial Day Weekend and is another true festival success story, growing from 1,000 attendees in its first year to more than 20,000 in recent years. It’s evolved from a regional music fest to near essential travel destination for fans throughout the country. Umphrey’s McGee and moe. have built a strong friendship over the years and this carries over into the relaxed, family reunion vibe this festival has developed over the years, allowing it to truly live up to its name which conjures up memories of adolescent summers and the annual get togethers with friends . Unfortunately, in another common bond among early summer festivals, the rain made its presence early and often this year at Summer Camp, creating muddy terrain and slippery conditions everywhere. But it would take a whole lot more than rain to keep campers from seeing other performing acts like Trey Anastasio Band, Gov’t Mule, Pretty Lights Live and The Disco Biscuits throughout the weekend. Side projects were prominent at Summer Camp this year as well as Les Claypool not only played with Primus , but also with his Claypool Lennon Delirium project as well. Phish’s Mike Gordon took his band out here as well, joining bandmate Trey Anastatio and making for some popular sit-in rumors that never came to fruition. Aqueous, a clear band on the rise out of Buffalo, was also prominently involved this weekend with multiple sets. The videos above and below give a fantastic sampling of everything this year’s Summer Camp offered festival goers, including the copious amounts of mud. For a photo retrospective and some additional video, check out our review of the proceedings. This festival shows no signs of slowing down anytime soon and while it may not be exactly local to New York, with moe. serving as co-host and a top notch artist lineup that seems to get better every year, this is one that’s clearly worth the travel. That’s a wrap on Best Festivals of 2017 as voted by NYS Music and its readers. Stay tuned tomorrow and the rest of the week as we continue with our look back on 2017 and the best music it had to offer.